Our first employee ownership spotlight is on Larry Litke, Quality and Continuous Improvement Manager. For 5 years, Larry has strived to improve processes at Grand River Rubber and ensure that the company is meeting and exceeding customers’ expectations. He is a regular speaker at the ASQ Geneva chapter and will be presenting at the National Quality Auditors Convention in Dallas, Texas next week about transitioning to ISO 9001-2015. We are honored to have him kick off our employee ownership series. When Larry started working at Grand River Rubber 5 years ago, he was amazed by the company’s commitment to quality. The company had an initiative in place that is still used today called "IDR". The company-wide initiative encourages employee owners at all levels of the company to submit ideas for more efficient or better quality ways of doing day-to-day operations. Employees submit an IDR form and the form gets reviewed by the Executive Staff, VP of Operations, Human Resources and the Maintenance Manager. “What initially surprised me about the IDR initiative is how engrained it is Grand River Rubber’s daily operations. Everyone from our newest employees to our oldest are encouraged to share their ideas. I was impressed by how carefully the IDR team reviews each request. Whether they accept it or not, they give details into what went into their decision. If the IDR is accepted, the employee gets an in-depth timeline of when action will take place”, says Larry. Larry brings 32 years of quality management expertise to the table and previously worked in the automotive industry. 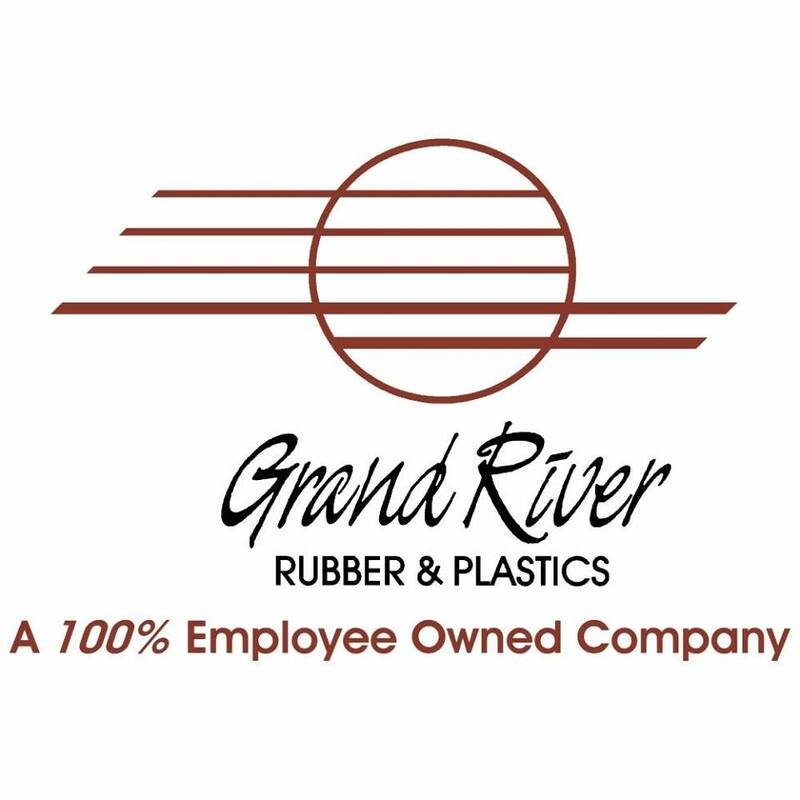 Since joining Grand River Rubber Rubber’s staff, he has used his automotive background to improve the corrective action process for problems both inside and outside of the plant. “I implemented an automotive 8D corrective action process into Grand River Rubber. The process digs into what really happened to make an error and what do we need to do to fix it. Once a week, I meet with the Quality Specialist, VP of Operations, Area Supervisors, Materials Manager, Sales Manager, and managers from our 3 product line departments: Lathe Cut, Drum & Pail, and Sweeper Belt”, explains Larry. The automotive 8D corrective action process encourages creative thinking and new solutions for problems. Since people are hearing about issues outside of their own department, they are able to view the problem with a fresh set of eyes and come up with new solutions. Since implementing the process, customer complaints have decreased dramatically. The quality process team are also better able to anticipate potential problems before they occur and take preventative action. Coming from an automotive background, he was amazed how strikingly different the culture is at Grand River Rubber. The employee engagement at Grand River Rubber is something that makes Larry excited to come to work every day. The employees have an all-in-this-together mentality and have a vested interest in the company’s success, unmatched by any company he had worked at previously. “Employee Owners at Grand River Rubber go above the standard and see the big picture of their job and the impact they can have in the company’s success. When they retire, they want to be able to say, ‘I helped build that to where it is today’. Our retirees regularly come back to visit and see how the company is doing. That is something that is so rare and just goes to show, once you’re part of the Grand River Rubber team, you’re part of it for life”, says Larry. One of the biggest differentiators about working at Grand River Rubber is the ‘work hard, play hard’ mentality. The company has many initiatives that encourage employee success including milestone celebrations and retirement acknowledgements but the most exciting part of the year is the annual company picnic. “Every year, we have a function to celebrate our company’s hard work and success during the year. For several years, the company has held their company picnic at Waldemeer Park in Pennsylvania. All the employees and their immediate families are able to participate in the event free of charge. Some of my best memories are at Waldemeer with my family and co-workers”, says Larry. When asked what employee ownership means to him, Larry stated the following: “We have pride in what we do because we understand that when we work, it benefits ourselves and our families. We are all bosses who work together for the betterment of the company. We know that with hard work, our stock will increase and we will have even more security when we retire. Employee ownership is empowering”, states Larry.